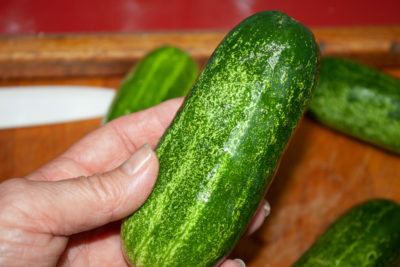 It’s pickle season! 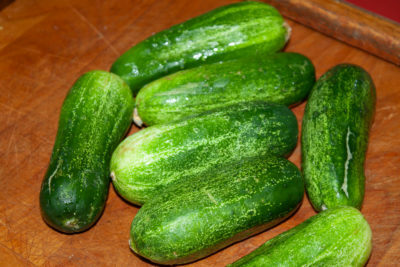 The farmer’s market is full of those beautiful cucumbers in every size you can think of. 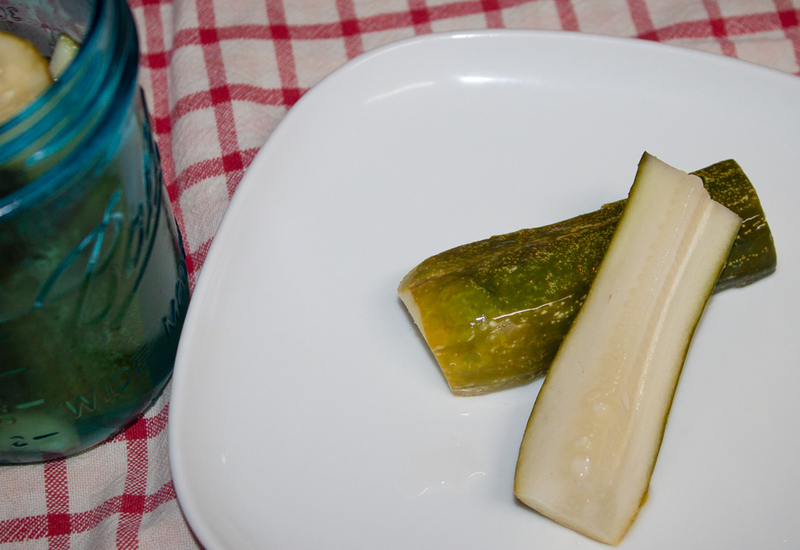 I used to make 2 dozen quarts of these pickles, processed in a water bath to seal the jars. But now, it’s just the two of us, so four pints that can be stored for 6 months in the refrigerator is perfect! 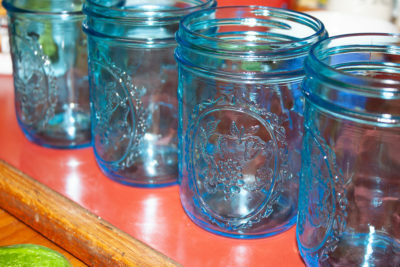 Wash and sanitize the jars. 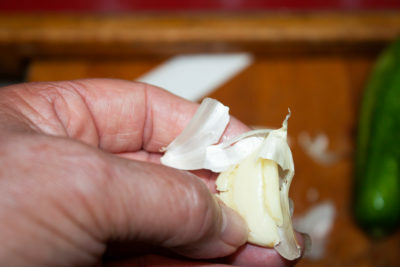 Put the tops in boiling water to soften the seal. 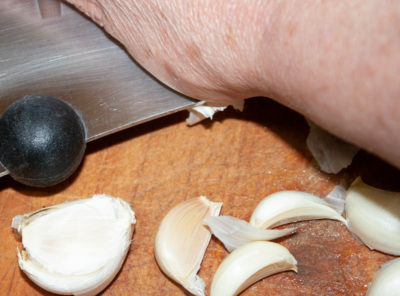 Remove the skins from the garlic and put the cloves in the bottom of each jar. 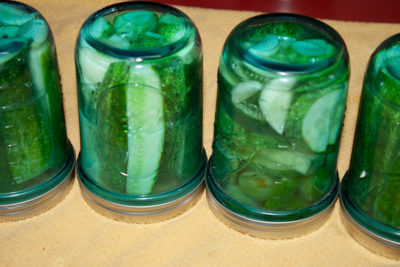 Cut the cukes into quarters and pack them in the jars. 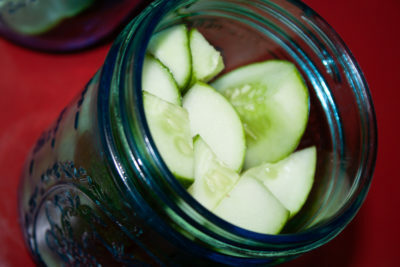 Mine were just a little too long, so I cut slices off the end and made one jar sliced instead of quarters. I had a little extra room so I put a jalapeño and some green cherry tomatoes from the garden in to fill the jar. Bring the water and salt to a boil. Add the vinegar. 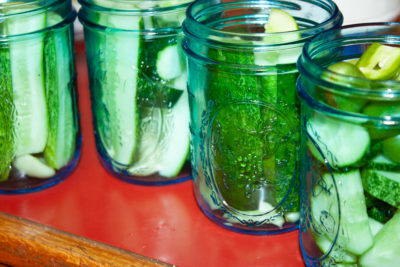 Ladle over the cucumbers and fill each jar to the top. Wipe the rim. Place the hot lids on the top and screw the lid on tight. Allow to cool for about an hour. 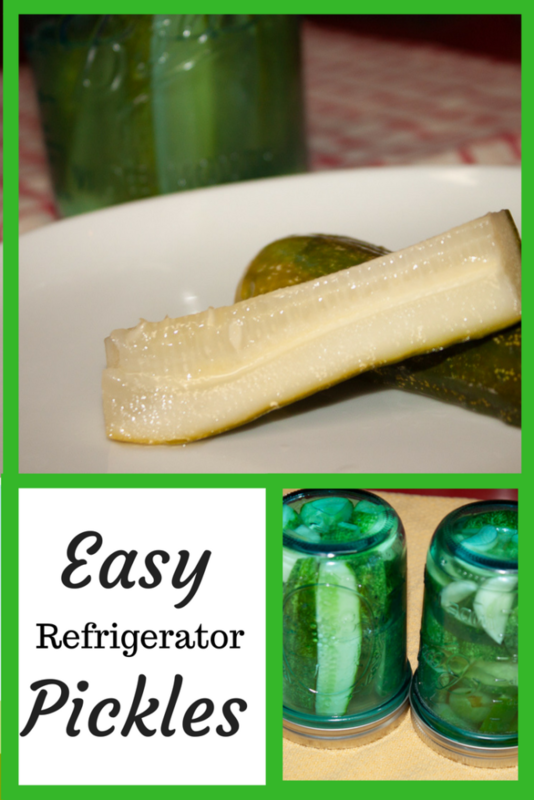 Store in the pickles in the refrigerator for about 2 weeks before eating. They will last about 4 to 6 months in the refrigerator.